Good business acumen and know-how are among the core skills required to run a successful company, but sometimes sheer luck is needed to take it to the next level. 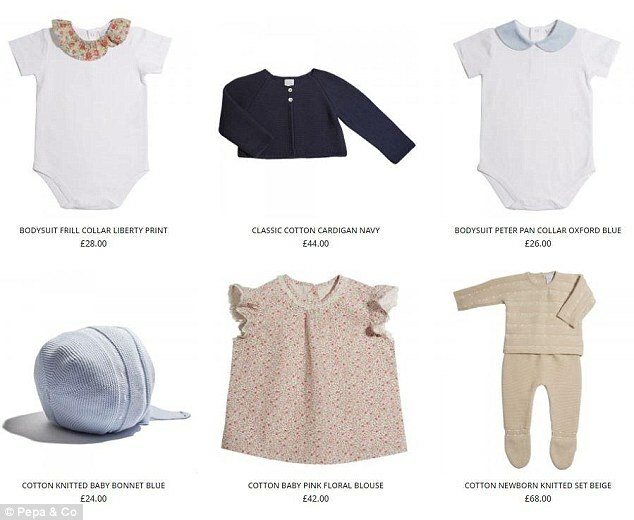 Case in point is the experience of children’s clothing brand Pepa & Co which rose to prominence after emerging as a favourite outfitter by Prince William and the Duchess of Cambridge for Prince George and Princess Charlotte. The outfit that propelled the brand into the public’s eye was designed by the firm’s founder, Pepa Gonzalez. 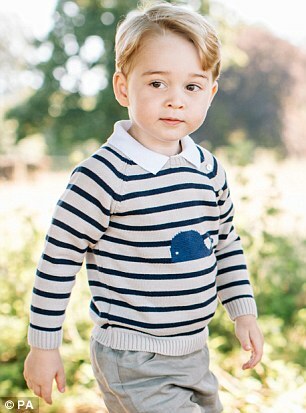 It was a cream and blue cotton sweater with a whale stitching in the middle with grey shorts, worn by Prince George during his third birthday celebrations in 2016. Gonzalez, 35, was attending a friend’s wedding in Sicily when she found out that her clothes were worn by the young prince, after being tagged in a photo of him on Twitter by Hello! magazine. The ensuing publicity created an illusion of grandeur when, in fact, the company’s operations are much more modest. The childrenswear label, based in Hammersmith, has two full-time employees – Gonzalez included – supported by a handful of freelance staff to keep the business running at busy times. Gonzalez moved from her native Malaga to London in 2010 after completing a placement in the marketing department at the Spanish embassy. She later worked as a nanny to make end’s meet. It is in this role where Gonzalez spotted a gap in the market for classical children’s attire. Despite not having any business credentials, Gonzalez used £15,000 of her own cash to buy a batch of her favourite children’s attire from Spain and Portugal and develop a website to sell the products here in the UK for a profit. She then launched the brand Pepa & Co in 2013. ‘Business was very slow to begin with,’ she said. She later designed her own collection after finding it increasingly difficult to create complete outfits from her ragtag stock. At present, the brand offers apparel for children from birth up to the age of eight. Gonzalez said no expense is spared to ensure the quality of the products – which is reflected by the price point. Bodysuits are typically priced £26 or £28 while dresses can cost as much as £98. 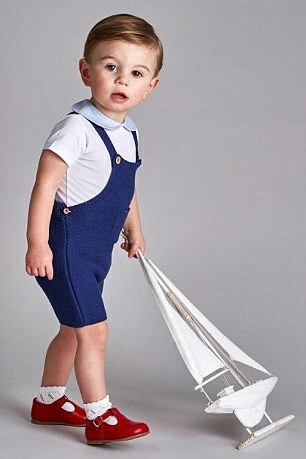 Meanwhile a pair of shorts for boys aged four and above can cost as much as £46. 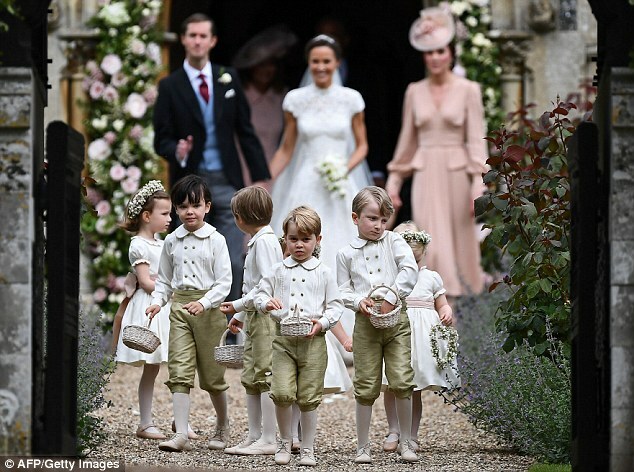 Gonzalez’s clothes have not only been fashioned by the Royal tots, but also by the flower girls and page boys at Pippa Middleton’s wedding. She has also recently outfitted the bridal party for the Royal wedding of Prince Christian of Hanover and Alessandra de Osma. Custom from royalty is serendipitous but has helped grow the company, according to Gonzalez who has never sent a freebie to a celebrity. But she is reticent to piggyback off the fanfare over the Royal tots to scale her business. ‘The fact that the Royals are wearing our clothes is good luck, but you cannot run a company on luck alone. So how did company approach the birth of the latest member of the royal family Prince Louis? ‘We did nothing,’ Gonzalez said. ‘We didn’t have a special promotion, nor did we release a new range because of his birth. We saw that other clothing brands had special promotion like use discount code “Louis” to get 15 per cent off your purchase. Pepa & Co’s business structure is simple. Pepa’s designs are manufactured in Spain and Portugal and sold on for a profit through her website. The cash generated through sales are reinvested into the business to order more products and so on. She has so far batted away interest from investors, instead opting to grow her business organically. Gonzalez said: ‘We live in a fast-paced society where people expect to see results immediately. I don’t want to run a company that loses a lot of money for years before turning a profit after investment. Looking ahead, Gonzalez plans add new collections to her inventory and further develop her website as her primary point of sale. But that’s not all. She has her sights set on global growth, and is currently in talks to have her products stocked in department stores in Europe and the US. But Brexit could also throw a spanner in the works, Gonzalez admits.